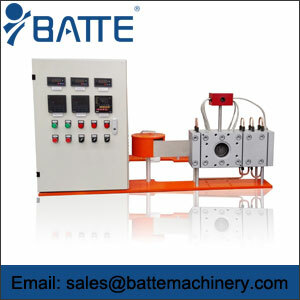 The non stop continuous screen changer has the characteristics of continuous production and convenient switching. 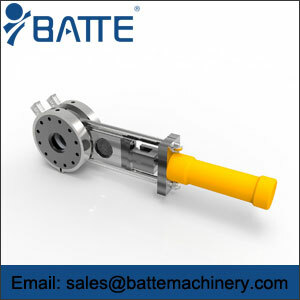 It is an ideal matching device for extruding granulator. 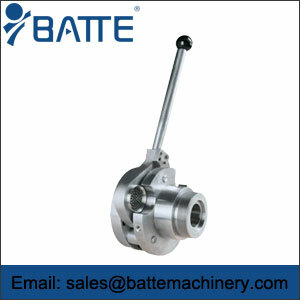 The net switch device without stopping is usually made of mesh changer and filter screen. The perforated plates, plungers and heaters are shown in Figure 1 (a). The plastic melt flows through the filter screen on the plunger, and impurities gradually accumulate in the filter screen. The melt pressure increases with the accumulation of time, and the filter screen should be replaced in time when the load can be borne by the equipment. When replacing the filter screen, the upper plunger is first pulled out until the filter screen exposing the main body to replace the filter screen. After the upper plunger is restored to its original position, the filter in the lower plunger is replaced by the same method to complete the process of changing the net once. 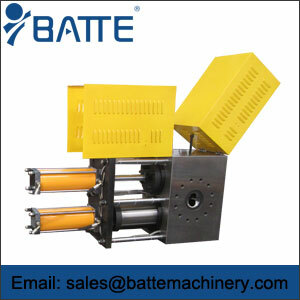 This kind of device is simple and suitable for extrusion production with relatively clean raw materials. But because the waste plastic of recycled recycled material is difficult to clean thoroughly, in the production process of regenerated material, the melt impurities are accumulated on the filter network in a short time, the filtration performance of the filter net decreases and the pressure of the machine head rises. When the melt pressure exceeds the limit, the filter is squeezed through the filter. If this kind of non stop continuous screen changer is used, the filter screen will be replaced frequently, even causing shutdown, which seriously affects the production capacity and product rate of the equipment. Therefore, in order to reduce downtime, improve production and economic benefits, improve the quality of recycled materials, it is urgent to overcome these problems. In view of this, foreign countries have emerged with automatic washing function of high-efficiency automatic mesh changer, very suitable for waste plastic recycling processing.